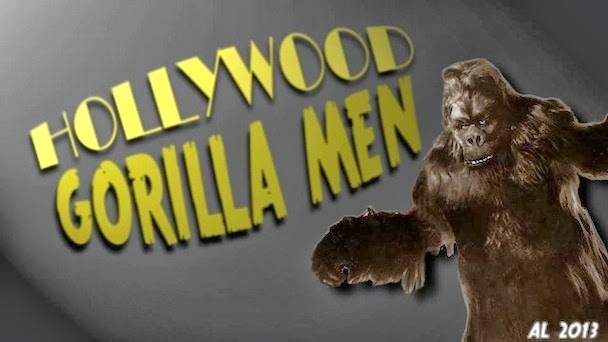 Having a genuine Gorilla Man as a co-hort here at Hollywood Gorilla Men has been a great pleasure. 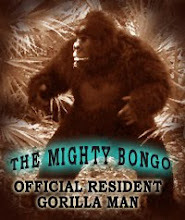 The Mighty Bongo has a depth of knowledge and a genuine relation to the craft and history of these unique performers that I could never achieve. I am routinely floored by his astute and critical observations on suits and films and consider myself one lucky monkey to have him aboard. Case in point - we had a friendly French fellow who had a very specific question that frankly left me scratching my noggin. Rick BAKER and others. 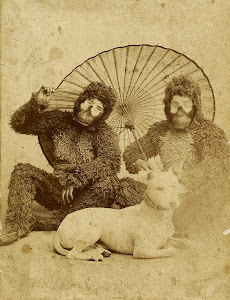 In the introduction, I will explain the long search to have the better gorilla suit, and of course, I will give link of your site. 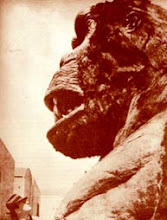 I read than Steve CALVERT was able to dilate the nostrils of the gorilla's head. Do you know how he was able to obtain this effects ? 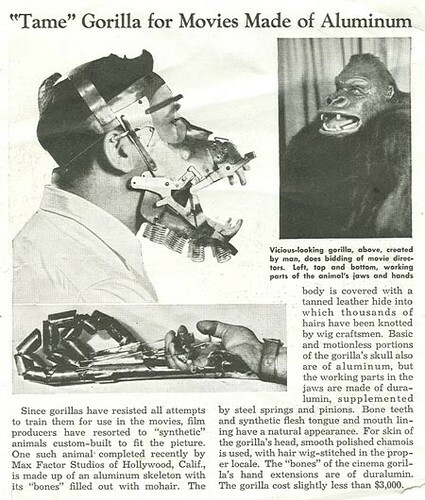 The nostril mechanism was done a couple of ways. One way was to use a flat or circular piece of metal,that was cut to fit inside the raised areas of the nostrils. 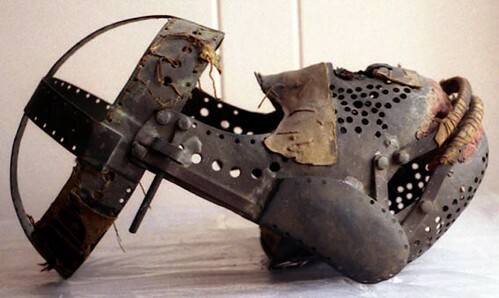 This was attached to the metal frame, (sub-skull) by a small hinge at the bottom so it would flip outward at the top. A bent metal rod was attached to the plate, which extended beyond the hinge, entering the inside of the framework. The end of the rod ( lever) was located at a point just touching the actor's upper lip. 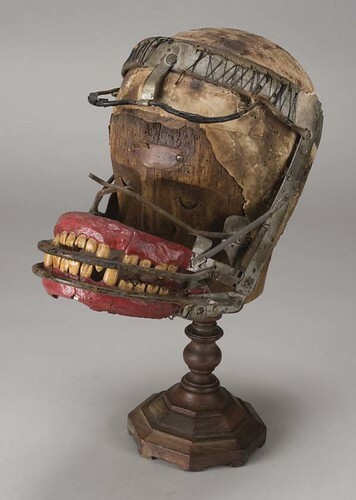 By pushing outward with your lips, it would cause the metal plate to hinge back tightly against the frame, pulling the rubber nostrils back into it, making a sort of sniffing effect. I think this is what Art Miles used for his nostrils and upper lip movement on his suit. The other ,easier, less problematic solution was to use a rubber bladder, like a very thick balloon, attached to a piece of tubing and a sqeeze bulb. The bladder would be attached inside the face behind the nostrils. Since Steve did so much active stuff, he probably used the bladder effect as it wouldn't be damaged by an impact. The mechanical lever aproach would have been very fragile, and you would run the risk of busting you teeth out if you were to impact against something.